AMERICANS ARE DISCOVERING EXOTIC MUSHROOMS! Mushroom Farming is Your Opportunity! These are not the white or brown button mushrooms or even their more mature form called "portabella", but a variety of delicious species that have been enjoyed by cultures around the world for millennia. Whether they are the beautiful yellow oyster mushroom (shown here growing on straw) or the flavorful shiitake (shown ready to be shipped) or any of a hundred other species, Americans are discovering what the rest of the world has long known: Mushrooms are marvelous!!. The Mushroom Growers' Newsletter is here to help you be successful with commercial mushroom farming whether you are the smallest or the largest grower in the world. We have an electronic subscription option - at a reduced cost. The electronic version is the perfect choice for those of you outside the United States that have trouble receiving paper mail or who just want to save the costs associated with printing and shipping the newsletter. You can get your first issue immediately and we'll send you a link to an Adobe Reader (PDF) version of the newsletter each month via email. Besides getting the newsletter more quickly and less expensively, you will also find that some of our photos and graphics are in color in the electronic version and we also include links to more information. In our April 2019 issue . . . Learn what's happening at: Sharon, Kennedy, Wye Mountain, Champignons Charlevoix, Hazel Dell, Open Minded Organics, Mississippi, Te Meta, Vertical Innovations, Mycelia Organics and Gruger Family mushroom farms. Find news from Ireland, India, Philippines, New Zealand, Northern Ireland, Australia, Canada, mars, and the United States. In Tech Notes, Dr. John Holliday talks about constructing an air tight grow room and managing CO2 in the room. Find terminal market prices from: Chicago, Dallas, Miami, New York, San Francisco, Montreal, Toronto, Johannesburg, Heredia, Perth, Lviv, Kiev, and Kowloon. You can have all this information and much more if you Subscribe now. You can get this issue INSTANTLY with our e-subscription option - be sure to give us a VALID email address then follow the link on the confirmation screen or in your receipt email! 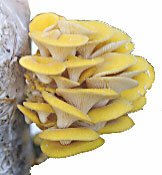 Commercial growers rely upon The Mushroom Growers' Newsletter. This is the first and only independent newsletter that covers the world-wide mushroom industry. Weekly prices at key U.S. cities, spot prices at cities around the world and advise from the newsletter will help you develop a marketing plan that works. Updates on newly discovered medicinal properties, cultivation techniques for new mushroom species and developments in mushroom farming technology will help you focus your efforts and improve your profitability. News of your competitors' marketing efforts will help you keep your mushroom marketing efforts effective. This, and more, makes The Mushroom Growers' Newsletter the indispensable news source for the business of growing mushrooms. With subscription rates starting at $35.00 per year for our electronic version, you can't afford not to subscribe. Subscribe now! The newsletter is published monthly and delivered to your door on paper or electronically in PDF format for Adobe Reader. Want to see examples? Look for free back issues and sample articles on our "articles" page. Wonder if this business is right for you - study the Resources section. For more details on all aspects of the industry, read our Book Reviews. To see what other successful growers are doing, check out the many Farms Online. Finally, Subscribe to get the current information you need to succeed.